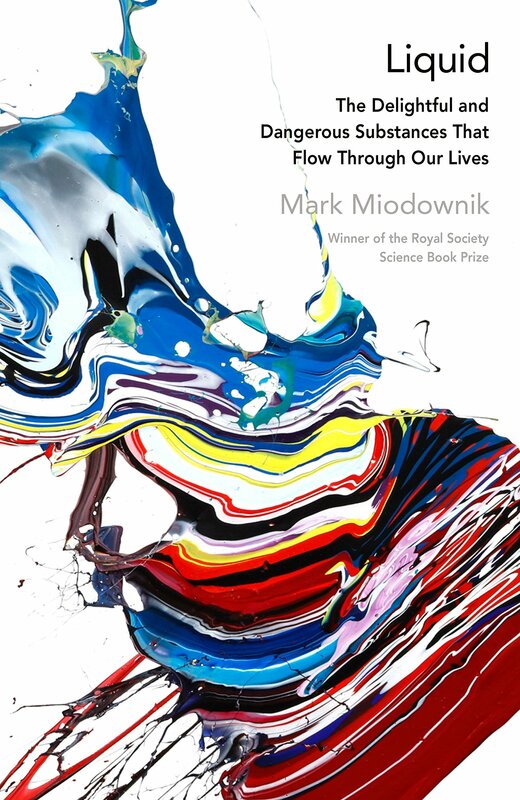 My new book LIQUID: The Delightful and Dangerous Substances That Flow Through Our Lives is out now in the UK. 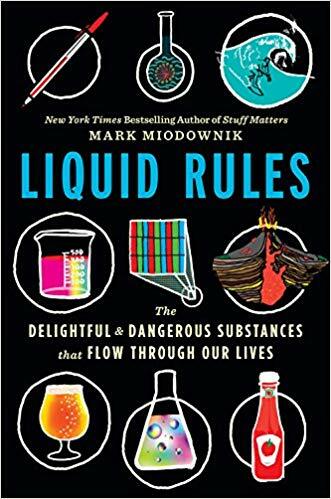 The US Edition called LIQUID RULES is on sale on the 19th February 2019. LIQUID is one of the Financial Times Books of the Year 2018. Guardian: “like a perfectly made cup of tea, it is warm, comforting and very refreshing”. Full review here. Sunday Times: “hugely enjoyable”. Full review here. 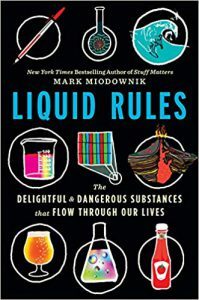 Nature: “sparkling investigation of liquids is an interesting and readable volume, that avoids distracting our chemist reviewer with ‘mischaracterized or oversimplified details”. Full review here. Financial Times: “Building the book around the experiences that most readers will have experienced during long-distance flights is an original and entertaining way of structuring the narrative”. Full review here. STUFF MATTERS: the Strange Stories of the Marvellous Materials That Shape Our Man-Made World. 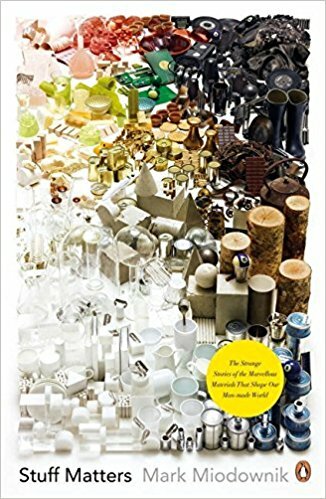 Stuff Matters is a guide to the material world, and the science, history, engineering, and culture that underpins it. Stuff Matters was a New York Times Best Seller, and one their 100 notable books of 2014. The Guardian: “If anybody can put real impetus into George Osborne’s call for a “march of the makers” it must be him: the very model of a modern materials man.” Full reivew here. Stuff Matters is published worldwide in 14 languages: Italian, Japanese, Chinese, Estonian, Romanian, Spanish, German, Turkish, Russian, Persian, Korean, Thai, and Portuguese. Find the UK edition here, the U.S. edition here.